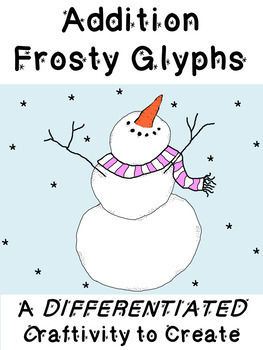 Glyphs are a fun and crafty way to liven up your math practice! 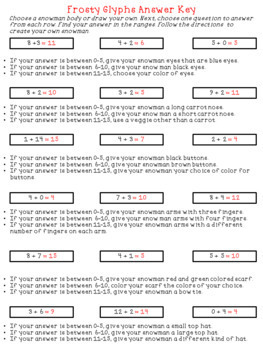 Create fun (and cute) snowman while practicing your math facts. This pdf has single and double digit addition. Your students choose which problems to solve. This activity allows for voice and choice and differentiation. Or, you can choose for them at first and then have them do it again. (This is like the gift that just keeps on giving.) Enjoy! 1. Solve one problem from each section. 2. Next, find which range the solution, or answer, falls in. For example, if my answer is 3, I would find the instructions under the range that says 0-5. 3.Follow the instructions in that range to choose your glyphs. 4. Assemble or draw your snowman. 5. Write about it! Tell us all about your snowman. When you have answered a question from each section, you will have a completed snowman! 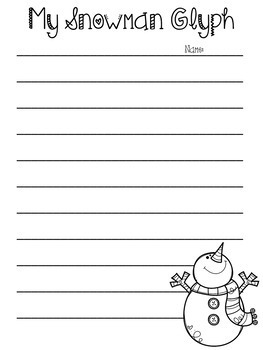 •You can use the printable snowman parts OR have your students draw their own. 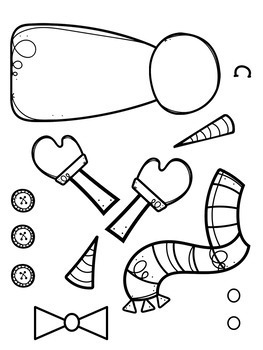 Or, let them decide if they want to draw some of their own parts and use some of the printables.